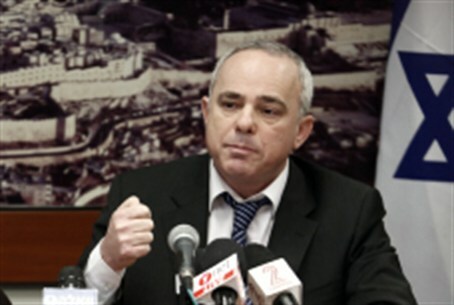 “It is absurd to evict Jews from homes they bought legally,” Steinitz told Radio Kol Yisrael. Steinitz added that he hoped the families would soon be vindicated and allowed to move back into Beit Hamachpela. The eviction on Wednesday came on the orders of Defense Minister Ehud Barak in violation of an agreement between his bureau, Prime Minister Binyamin Netanyahu, Strategic Affairs Minister Moshe Yaalon, and Minister Without Portfolio Benny Begin to delay the move until April 26 – after Passover. Of particular note is that Barak's push to evict the families at Beit Hamachpela was based not on a court challenge to the purchase, but on the families’ failure to properly validate the sale with his ministry. The government had stated it would “establish the legal facts of the case” before taking action. Barak, however, decided to go ahead with the eviction saying he would “protect the rule of law” and would not allow “settlers to establish facts on the ground” while his ministry investigated the sale. The move created furor in the Likud-led coalition – in which Barak sits – and has led for calls from senior ministers to strip the Defense Minister of his authority over Judea and Samaria. Foreign Minister Avigdor Lieberman – who heads the 15-member Yisrael Beiteinu faction – went so far as to say Barak was making it impossible for the coalition parties to sit in the same government with him. "The policy of the Ministry of Defense towards Jewish settlement in Judea and Samaria is designed to inflame passions rather than to meet the security needs of Israeli citizens who live there," Lieberman charged. “The freedom of Israel in its own land is only acquired through toil and anguish,” he said.